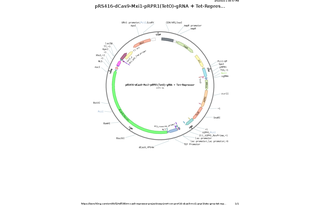 Cas9 gene was received from DiCarlo et al. All annotations are available there. This is best reference to use for this plasmid. 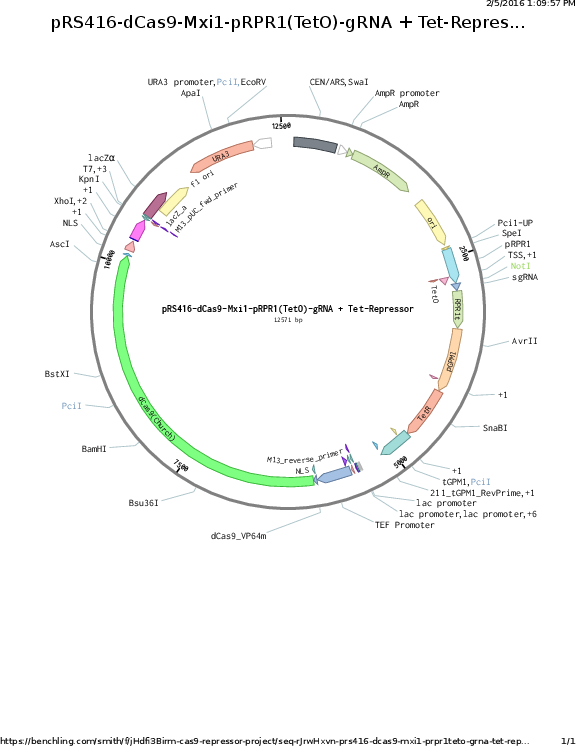 The genbank file included was exported from benchling for this plasmid. Please note to clone in gRNAs you need to use Gibson Assembly. Gibson will chew back the NotI overhangs. Provide homology on either side of the cut site to clone. Generally we order 60mers with 20bp of homology to the promoter and to the terminator. For high efficiency amplify with primers that extend these homologies to 30-40bp. You can directly clone in single stranded oligo with 20bp overlaps using Gibson if you only need low efficiency. To do this use ~100x oligo to plasmid. For double stranded PCR product, use ratios between to 2:1 to 10:1 insert to plasmid. See paper methods for more details.